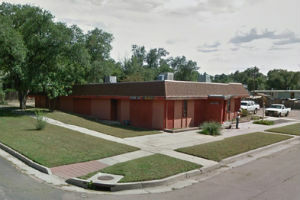 No injuries were reported after a homemade bomb exploded outside the offices of the Colorado Springs chapter of the NAACP on Tuesday. According to Amy Sanders, media coordinator at the FBI offices in Denver, an improvised explosive device detonated outside of the NAACP offices at 10:45 a.m. (MT). A gasoline can had also been placed next to the bomb but that failed to detonate. While a suspect has not yet been apprehended, Sanders said authorities are on the lookout for a “person of interest” in the case, described as a “Caucasian male, approximately 40 years of age, and balding.” Sanders added that he might be driving a 2000 or older model white pick-up truck with paneling, a dark colored bed liner, open tailgate, and a missing or covered license plate. A call to the NAACP national headquarters for further comment was not immediately returned. The FBI requested that any one with further information about the bombing should call their Denver tip line at (303) 435-7787.